Eating is a passion amongst Indians. We are inherently a gastronomic country who loves everything about food, from talking, to cooking to eating. Since it is one of the things we are most passionate about, restaurants are an amazing business opportunity in India. They offer the best growth rate and are therefore one of the most profitable ventures when thinking of a business proposition. Most restaurant franchise are venturing in different towns and cities of India, providing entrepreneurs a wonderful prospect to be a part of the food and beverage industry in India. We are one of the largest producer and consumers of food. The food industry is expanding exponentially, with markets expected to grow to around USD 70 billion. Great emphasis is being laid on turning entrepreneur and starting your own venture. What can be better than indulging Indians in their favourite pastime? If you too wish to become a business person and want to have your own set up in the food industry, here is a compilation of top 10 best restaurant franchise opportunities in India. Requiring a space of 400-700 sq. ft. area and an investment of INR 20-30 lac, this is a profitable venture. Chawla’s has earned its name in the food and beverage industry, majorly due to their chicken delicacies. Its preparations are authentic and mouth-watering too, making it a huge hit among Non-Veg lovers! You are required to invest INR 30-50 lac for a 2000 sq. ft. area, to open a franchise of this well-known outlet. Moti Mahal has featured prominently in the best restaurants in town for a fine dining experience. Catering to the Indian taste buds, it offers both vegetarian and non-vegetarian delicacies, making it a popular eating joint. If you prefer to invest in an authentic Chinese restaurant franchise, then Yo! China is the one for you. Requiring a capital investment of INR 2.6 lac only, it is one of the most popular Chinese eatery franchises. This quaint restaurant from Rishikesh that started in 1958 has earned its name as a multi cuisine restaurant that serves great food. Branching across different cities, the investment required to open its franchise outlet is INR 1.5 crore and an area of 4000 sq. ft. This chain of restaurants is a hit anywhere, because they serve authentic Punjabi dishes, be it veg or non-veg. You too can be a part of this amazing food experience by opening its franchise in your city/town, Invest INR 1 crore and 3000-5000 sq. ft. area of space to be a part of this great experience. Authentic pizza from Smokin Joe’s is a franchise that any pizza lover would love to introduce to their town. Requiring an investment of INR 20-30 lac, this is a safe sound investment. You are bound to get your returns within a few months, while earning the accolades of your customers. Requiring a meagre investment of around INR 3 lac and a space of 100 sq. ft. this is one small business franchise that can earn you big bucks. It is a great venture for breakfast and mid meal snacks outlet. Any time hunger pangs can be catered by this wonderful eatery. The house of Bikaner wala has brought this wonderful multi cuisine restaurant for food lovers. Traditionally from Bikaner in Rajasthan, it has earned a name in the food and beverage industry and the franchise would require a space requirement of 1200-1500 sq. ft. and an investment of INR 2-5 lac only. They are the pioneers of the Swiss Chalet dining concept in India. Requiring a floor area of 3500-5000 sq. ft. and an investment of INR 1.5 crores they plan to expand pan India giving you the perfect reason to invest in this franchise. Have you dreamt of owning a bakery that would fetch you good returns along with great customer satisfaction? If your answer is a “yes” then you need to have a good knowledge of the franchise opportunities present for you. It has become a household name in the cakes and bakery industry today. Dunkin’ donuts is one of the largest and trustable brands that offer franchise all over the country. It has a good reputation among the masses and hence a perfect option for you to start a business from scratch and become a well established name in this industry. Moreover the combo franchise option offered by it is also quite amusing and beneficial. The bake shop has its roots spread at national as well as international levels. You need to have a nominal investment of about 10 – 15 lakh and the floor area of about 500 sq feet to avail its franchise. It is a good option for investing owing to its good repo in the industry. You win a good amount of return on investment in this company and you earn a good repo too. This is a brand of international reputation along with holding a trust worthy name in the nation. With an investment of 10 lakh to 20 lakh you can get the franchise of world of waffles. Also the floor area requirement is of about 100 to 225 sq feet. This company offer good return in short tenure die to its good name in the market. Also it is well known for its delicious menu that will serve in your favor. If you need a good brand name with a small amount of investment, then cakes and craft is what is most suitable to serve your purpose. It is a established firm that offers its franchise at reasonable amount of investment of about 5 lakh. However, the work place area required is about 100 sq feet in a prime locality. So if you have a locality of good gentry but lack in money factor then cakes and craft is one of the best options for you. The French loaf carries a good reputation among the nation’s people. It only requires an investment of about 15 lakh. However if you are short in case of floor area then you need not worry as it only requires you to have a floor area of about 150 sq feet to 250 sq feet. It is a brand that you can trust for good outcomes on low investment. You can invest in it if you want a home company without any international business expansion. Another name that has its business expanding all over the nation is frontier. Established in the year 1921, this experienced company holds a satisfactory image in the eyes of the masses. You can avail its franchise by investing an amount of 5 to 10 lakh and having a floor area of 150 to 300 sq feet. It ensures good return in business at national level. Expanding its franchise at both national and international level, temptation is a brand that you can trust on. It is basically a cake and pastry oriented bakery franchise that is a well known name in bakery industry. You need to have an investing amount of 10 to 20 lakh to buy its franchise. Also the floor area required is 400 to 500 sq feet. It is yet another established name in the national market of cakes and bakery. With a small investment of 10 to 20 lakh and a floor area of just 250 sq feet you can avail its franchise. Cake villa is a brand that is suitable for you if you have low investment. It requires you to have an investment of 5 to 10 lak along with a minimum floor area of 200 sq feet only. Pizza – the ever delectable food of the current generation, a quick grab when friends gather and the food that is most sought by the sports lovers while watching their favorite game. The list only grows when one tries to describe this flat bread dish that is topped with delicacies from the kitchen counter and a generous share of cheese that makes your mouth drool at its mere sight. India has been a place where food chains and pizza joints are a big hit because of the demand that has been looming large over the period of time. If you are thinking about venturing into a food related business, starting a pizza outlet as a franchisee is sure to aid in your business venture. For the same, it will be imperative to know about the top most pizza outlets that are open to accept franchise offers in various prime locations of India. Let’s take a sneak peek into the top 10 of them. One of the highly in demand Pizza Outlet for its lip smacking pizzas and the most trusted pizza brands in India, Pizza Hut’s franchise is surely to take you up hill on your plans of venturing into the food business. It is already on top of the ten most sought after Pizza franchises in the Indian market for Pizzas and no one encounters failure while trying to be part of the big brand Yum! A much more familiar name with the Indian Pizza consumers, Domino’s Pizza is a worldwide brand that everyone relates to for a faster and assured delivery within 30 minutes. In India, there is a master franchisee for Domino’s Pizza i.e. Jubilant Foodworks, and they own the complete rights for expansion and operations in the Indian Sub-continent. Every other franchisee should partner with the master franchisee for the beginning of the Pizza outlet. A household brand in the Indian market since 1996, Pizza Corner has been giving a tough competition to the International brands. It has a good operating model and can aid in the sure success if you intend to be a franchisee. Off late – OM Pizzas and Eats merger with Pizza Corner is re-branding all of the Pizza Corner outlets to Papa John’s. Whenever you spot the Green, White and Red Combo, the instant image flashing across one’s mind are the delicious pan pizzas of Papa John’s. Becoming a franchisee of the third largest international pizza chain, one has to take it forward with OM Pizzas and Eats India Pvt Ltd which has also merged its operations with Pizza Corner’s. Quite a prominent pizza outlet in prime cities such as Mumbai and Bangalore, the franchisee options in order to expand are open to other cities. The fresh ingredients used for the preparation of the thin crust pizzas are sure to win customers as and when the brand expands its wings in new locations. The process of becoming a Smoking Joe’s Pizza’s franchisee is quite simple. You need to fill in and submit all of the details on their website and you are sure to be called if you satisfy the conditions that they are looking for. This is yet another Indian brand that the local consumers related to. Their motto of ‘Fresh Pizzas’ have taken them a long way. An international brand that started to promote itself in India in the year 1995 in Bangalore. The chain has grown over time using the franchising model. When the operating model has been proven, do we need to rethink? A South African brand that is looking to expand in the Indian market widely, Debonair Pizza is revamping its franchising model under the Diwa Hospitality banner. They are the master franchisee and will be looking for associations to expand in the Indian market across various cities. This Australian Pizza brand is spreading its wings in the Northern part of India and is on the verge of its expansion to South India. This also operates with a Master Franchisee model and can facilitate & guide other franchisees. A common name in the South of India, this pizza brand is on an expanding spree through franchises. The Indian brand has successfully launched its international outlet in Malaysia recently. McDonald's is the most popular food chain restaurant of the world and is a brand of Quick Service Restaurants. McDonald’s has more than 33000 restaurants in 118 Countries with an average number of 67 million customers enjoying McDonald's food every day. McDonald's franchise has been providing the development licensee status and in India which is currently in the hands of two entrepreneurs Amit Jatia, Vice Chairman, Hardcastle Restaurants Pvt. Ltd for West & South India and Vikram Bakshi's Connaught Plaza Restaurants Private Limited for North and East India. For more details keep reading. Traditional restaurant: these require an investment of $45000 for restaurants located in freestanding buildings, store fronts, food courts, etc. The term of agreement for traditional restaurant is 20 years. Satellite locations: on locations such as store, strip centre, airport, universities, hospitals, etc the investment required a McDonalds franchise is $22,500. The menu is different from the usual McDonalds menu. The term of the franchise from location to location. STO and STR locations: ‘Small Town Oil’ locations also known as gas stations require an investment of around 172,425$ to 627,050$ for Satellites and 837,750 to 1.2 million dollars for gas stations. A royalty fee of 4% on gross sale per month is charged with a rent or percentage rent on gross sale is also charged. These are the investments amounts for starting the franchise in McDonalds which are not applicable in any other country but can be used as inference. This is onr of the most profitable franchises and the breakeven point is expected to be reached in 2 to 3 years. Hamburger University is the international training centre of McDonald's which provides varied courses and training. The courses and their duration are not static and are changed from time to time in coordination with the franchise and franchisees. The centres are located at different sites and training is also given at McDonald's restaurant. This includes hands-on and self-directed learning that is monitored by a McDonald's business consultant. Part time training is provided to the employees and the duration might range from 9 to 24 months or sometimes even 36-month. There is no other training apart from the basic training. Various annual meetings, conventions, various workshops, and other training sessions may be organized and there is a fee applicable for all such programs. Is McDonald's franchise looking for expansion in India? McDonald's is not planning to open any other franchise in India. But Hardcastle Restaurants Pvt. Ltd that manages West and South India want to increase the number of restaurants. For those of you interested in getting affiliated with McDonalds can contact the management at the following address. Burger King is one of the biggest corporations in the United States and one of the most popular fast food joints. It has gained a lot of popularity in the past few decades all over the world. The franchise is known for its varied menu and the strategic marketing plans that make it such a huge food joint today in the world. They are amongst the best options for someone who wants to start a fast food franchise. Find all the details about Burger King Franchise below. Keith J. Kramer and Matthew Burns were the ones who started the Burger King franchise which was then known as Insta-Burger King in San Bernardino, California in the year 1953. It was later bought by Pillsbury in the year 1967 and that is when the name was changed to Burger King. It is today present in 75 countries having spread over 12,000 locations across the globe. Overall investment needed to start a Burger King Franchise is around $294,000 to $2,800,000 whereas the franchise fee is $5,000. Franchise agreements include an additional A royalty fee is also applicable for the franchise agreement and that is 4.5%. Burger King is a popular franchise that is very popular amongst the people all over the globe. Therefore the business is quite flourished and the ROI is great but it still depends on factors like the location of the franchise and city. These comprise of areas like corporate buildings, government buildings and facilities, medical facilities, airports, train and bus stations, sports facilities, factories, turnpikes, limited access toll roads, theme parks, zoos and educational facilities. These types of ventures are a standalone unit and are operated basically in high markets, malls or other commercial areas. They are not set up in a constrained environment or within a particular organization and serve the traditional Burger King menu. Food courts, gas stations, convenience stores and other places with similar kind of environment and facilities can be used to start a Traditional Burger King Facility. These places are ideal for the business to flourish. To become the next franchisee and join the Burger King Club you must be eligible economically. To fulfil the criteria you must have a net worth of $1,500,000, with $500,000 available in liquid assets. The franchise agreement is made for 20 years but the franchisee can always renew the agreement after this period is over. Meetings, evaluations, a grand opening event, and a toll-free phone number are always at the service of the franchisee in care they face any hurdle in business and seek advice. Marketing is not something that franchisees have to worry about while being associated with Burger King as they manage their own marketing and advertising campaigns which bags many awards. Burger also provides its franchisees with financial aid by offering real estate leases and other remodelling franchise programs to assist in starting the business smoothly. The franchisee also gets certain types of transactions when there is a need for it from the franchisor. Many a times the franchisee can take help of the expedited and streamlined SBA loan processing through the SBA's Franchise Registry Program only if found eligible. There is no current facility of receive any payments from unaffiliated lenders provided to the franchisees. Burger King offers great support to its franchisees both prior to the opening of the restaurant and after it. All franchisees are provided training in Miami, Florida or location specified by the franchisor. Owner and Operators sometimes undergo additional training to learn how to manage current operations, standards, and procedures and to expand the business and profits further. Occasional workshops and seminars are also conducted for managers to impart management knowledge and updating of operational skills. Other assistance for managing the franchise is also provided to help the business bloom. All franchisees have to keep up with the updated methods of the business for which they have to attend occasional training programs. Krispy Kreme has been a well recognized and esteemed name for the past 75 years and has been serving people with their enticing and mouth watering doughnuts all over the world. They have set a benchmark in confessionary items, icy foods, beverages and particularly doughnuts. They have a varied platter of doughnuts which they offer according to seasons. Founder in the year 1937 and till date they have maintained their quality of fresh and warm doughnuts. Krispy Kreme is now a global name and has enhanced its sales enormously. They sell doughnuts in store, supermarkets, gas stations and convenience stores all over the United States. They also hold shelves in the markets of Canada, Australia's BP Service Stations and BP Travel Centers, and the UK's Tesco supermarkets, Hong Kong, Indonesia, Japan, Kuwait, Mexico, the Philippines, Republic of South Korea and United Arab Emirates. Get to know all about Krispy Kreme in the following article. Krispy Kreme was started by Vernon Rudolph on July 13th, 1937, in company in Winston-Salem, North Carolina, to serve people delightful doughnut. It became part of the public stock in the year 2000 and a test doughnut-making store was also started in a Wal-Mart supercenter in 2003. The brand then expanded to Australia becoming a global food joint. Soon Krispy Kreme became a well recognised name across the world and has always been recognized for its amazing quality of doughnuts. Starting a franchise with Krispy Kreme would mean starting a business under the flagship of a global brand where marketing would never be an issue. Since the brand is well established the franchisee will also be provided with the required support to flourish the business. Starting a Krispy-kreme store will require an initial investment of around $928,000 to $1,883,250. Since the financial requirements are quite high the aspiring franchisees must be resourceful and in possession of $1million in liquid assets and a minimum net worth of $2million in order to fund multi-unit store development plans. The amount of investment mentioned above is subjective and may vary according to the cost of land where the store needs to be established, type of franchise, construction rates, labour and importation costs. Krispy Kreme also requires all its franchisees pay the exclusivity fee, which depends upon the type of store that will be developed and the kind of market or consumers it covers. It is essential to pay the franchise fee before the store is opened. Franchise fee is different for each kind of store, where Flagship Factory Store will require $25,000, Fresh Shop will require $10,000 and Kiosk will require $10,000. Krispy Kreme also charges a royalty fees of 6% of net sales as well as a brand fund contribution of 50%. In order to promote the business the franchisees must also spend 3% of sales on local store marketing. Krispy Kreme is a brand that provides detailed training and support along with the business plan to all its franchisees and staff in order to let the franchise bloom in the market. The initial training takes place at any of the Krispy Kreme training store either in the United States or the nearest store in the area. All franchisees have to go through a one-week training program before opening their first Krispy Kreme franchise. A special 12 week of training is also designed for the general manager and store manager before the starting the business in order to comply with the Krispy Kreme franchise requirements. Krispy Kreme provides a combination of classroom learning and hands-on experience in a store to make the franchisee and their team accustomed with the business environment. This is very essential so that the trainees can learn the production and making doughnuts, coffee and other Krispy Kreme food products in order to maintain the quality benchmark that Krispy Kreme has maintained for so many years. Fast food franchises are the ones which make the largest amount of profit among all other franchises. The sole reason behind this is that the Indian people have a love for food and they accept cuisines and recopies of all cultures. Apart from Indian fast food, American and Chinese foods are most preferred here. Then comes the admiration for Italian and several others follow. 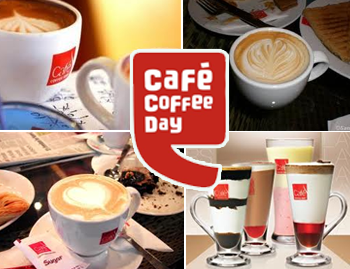 The idea of food franchises works great in India because people here are keen to try food of various cultures. This is the reason why South Indian food is loved in North India and North Indian food franchises earn a great deal in South India. People have hugely accepted fast food culture in the past two decades and fast food franchises have been flourishing ever since in India. Besides the fact that there is tremendous amount of competition, food franchises never go in loss because the demand for fast foods like burgers, doughnuts, pasta, etc is growing day by day. The taste of Indian people is moving drastically towards fast food. For this reason food franchises from all over the world want to invest in India and the ones who already have are enjoying the huge profits they make. There being so many food and beverages franchise makes it confusing for you to choose the right one. Franchise Advice has taken initiative to help you in this regard. Selecting the right franchise from all those big names is the first and most important task when you take the initiative to start a franchise business. 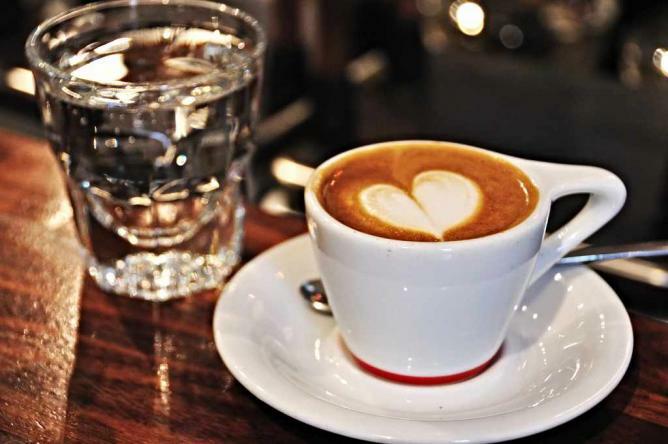 There are three franchises that do not offer their business further but you can make good money by renting them a place for their restaurants and they are McDonalds, Dominos and Cafe Coffee Day. The rest of the franchise options are open for you and you can apply a franchisee if you have the right amount of investment money with you. Following are the seven best food franchises in India irrespective of the order. All of them are doing great business. Check out the details and help yourself in making the right decision. KFC franchise requires high investment which will be around 1 crores in India but this is one of the most profitable food franchises in India. The above investment is exclusive of the 4% royalty fee on net sales. You can expect a return on investment within 2 to 3 years. This clearly shows the huge amount of business the franchise does. It is quite popular among the non-vegetarian society and people of all religion. To learn more about the franchise like contact details and application process, etc. you can check out the detailed article at Franchise Advice. Pizza Hut is without a doubt the largest and best pizza franchise in India. It is one of the most successful enterprises of the Yum! The investment required to start Pizza Hut is around 2 crores and a franchise fee of around 15 lakh rupees. There is also a royalty fee of 6% on sales. The quality food of the franchise has led it to one of the food market leading brands and serves a large number of customers throughout India. Subway is counted among the world’s largest food franchises and is gaining speed in the Indian food market. It serves above 39 thousand people in more than 102 countries. Subway has a preceding reputation among the Indian people as it takes care of the food related customs and does not serve beef or pork in India. To start a subway restaurant you need an investment of 25 to 30 lakhs. Apart from this you also have to pay the one time franchise fee of 4.5 lakhs and for the second franchise it will be 2.25 lakhs. Subway has great advertisement schemes from which all franchisees benefits. Taco Bell is another brand of Yum! It caters according to the Indian taste and has an amazing menu which is widely appreciated. Tacos, Burritos, Nachos, Quesadillas, veggie chalupas, Potato and Paneer are some of the food items that are part of the menu along with a Mexican essence. Taco Bell requires a huge investment of around 3 crores but the franchise has a good return on investment. To know more about Taco Bell franchise go to Franchise Advice. KRR also belongs to the food market giant Yum! To start Kenny Rogers Roasters you will require an investment of around 1 crore inclusive of franchise fee and a floor area of minimum 2500 square feet in a highly commercial area. KKR serves the best roasted chicken and has gained popularity from other varieties of chicken it serves. The return on investment is quite is good. Learn more about this franchise at Franchise Advice. New York Pizza & Fried Chicken is the newest among the leading fast food franchises and requires a low investment. It is an ideal option for the businessmen who are looking for a low cost food franchise business. The brand has done great not only in India but also in countries like Australia and Africa within its few years of business. You will need 50 lakh to 1 crore to start this franchise and there is no franchise fee. There is only a service tax that you need to pay which is considerably less and the profits are good. Quiznos is yet another franchise that is catching up in the race of successful food franchises in India. It serves a unique American platter that is unique and good in quality. Quiznos is looking for expansion in northern and western parts of India therefore there is a lot of scope for new businessmen to start a new Quiznos franchise. Investment required to start this franchise will be around 30 to 50 lakhs which is relatively low considering the investment required for other food franchises. For those of you who are looking for a relatively low on investment food and beverage franchise to invest in then NYPFC is the best option for you. Get to know about the investments required and learn more about the franchise and its scope in the Indian market, all of this comprised in this single article. New York Pizza & Fried Chicken (NYPFC) was started by Mr. Ram Atmakuri who came back to India from US to start one of the best food franchises to platter American recipes. Within 2 years of establishing NYPFC lead to more than 60 franchise units across India, Africa and now stretching to Australia. It now has more than 80 outlets and all are extremely successful. NYPC caters 50 varieties of pizza and a lot more including chicken, burgers, etc. that soothes the taste buds of people of all ages. The investment needed to start NYPFC franchise is around 30 to 50 lakh rupees which is quite low than expected considering the popularity of the franchise. The advantage of the franchise is that it does not charge any franchise fee or royalty. The franchisee does not even have to share the profit earned from the franchisee. A service charge is taken by the franchise which is negligible considering the profits. A Master franchise of NYPFC considering the city will cost you from 50 lakhs to 1 crore whereas according to region it will be from 1 crore to 2 crores. There is no area requirement specified by the franchise though it must obviously be located in a highly commercial area. The ROI will largely depend upon the location of the franchise. In capitals and tier 1 cities you can expect to get your investment back in a time span of 8 to 12 months. The franchise agreement is for 5 years and can be renewed after this duration. Descriptive manuals are provided to the franchisees with all the necessary requirements that are important to successfully start the NYPFC franchise. Franchise training is also provided to the franchisees as well as employees at the franchise outlet. NYPFC also helps the franchisee to select land area in order to ensure that the location of the franchise is profitable. Complete assistance will be provided in the establishing process of the franchise as well as with marketing to get the business started. Someone from the head office will be sent to the restaurant to provide all the necessary guidelines to the franchisee. The franchise will be equipped with the latest technology to ensure better performance. For those of you who want to apply for the NYPFC franchise can visit the official website of NYPFC that is http://nypfc.biz/. You can also talk to the franchisees of any of the existing outlet of NYPFC to learn more about this franchise. The address of the franchise and other important contact details will be available at the following link: http://nypfc.biz/contact.php which you can use to get in touch with the head office and clear all your doubts regarding the franchise. NYPFC has its outlets in the following cities in India: Warangal, Hyderabad, Guntur, Nizamabad, Khammam and Karimnagar in Andhra Pradesh, Kochi in Kerala, Dhanbad in Jharkhand, Mohali, Chandigarh in Punjab and Dehradun in Uttrakhand. Since pizza and chicken are quite popular throughout India you can opt for any city for starting the franchise but a franchise in North will be particularly profitable. Mother Dairy Franchise is a very good business option for those who want to start a low investment franchise business. Starting a Mother Dairy franchise will only cost about 5 to 10 lakh rupees. Mother Dairy is quite a popular brand name among the agro business franchises and is known for its quality products. Get to know all about this franchise in the following article and learn about the land requirements, support and contact details of Mother Dairy franchise. Mother Dairy is one of India’s most popular dairy Company. It was started in the year 1974. The Mother Dairy is certified by ISO 9001:2008 (QMS), ISO 22000:2005 (FSMS) and ISO 14001:2004 (EMS) by National Dairy Development Board (NDDB). It is one of the biggest Agro franchise in India. Safal, the Fruit & Vegetable business is the initiative of Mother Dairy Fruit & Vegetable Pvt. Ltd. It roots from the Fruit & Vegetable Project which was initiated by National Dairy Development Board in 1986 to ensure the integrated and quality marketing of horticultural produce under the banners of Safal. Safal is the most popular brand in the organized fruit & vegetable retail business in the Delhi and NCR region. Thus starting this franchise is a great idea considering the sales and profit. To start a Mother Dairy franchise in India the investment will vary from 5 to 10 lakh rupees. This cost includes rupees 50000 for franchise fee and there is no royalty fees for this franchise. You will also need an area of 500 square feet or more where you can start the franchise unit. This land should be in a residential area preferably on ground floor in order to get maximum profit. The investment will rise up to 1 crores or sometimes even 2 crores for multiple units, which will be 2 to 5 crores as per the city and above 5 crores as per state. The expected return of investment will be near 30% with a break even period of 2 years. This estimate is not rigid. It depends upon a lot of factors like the area of the store, city in which it is located and the way marketing is done to support the business. There is a formal franchise agreement which is valid for lifetime. Mother Dairy franchise provides detailed operating manuals for franchisees to assist them and making them familiar with the requirements of the franchise. Training is also provided to all the franchisees with field assistance in order to ensure that area selected for the franchise is good for business. The franchise also helps in managing the business and marketing so that the unit benefits as much as possible. All the present IT systems will be included in the franchise uit to make it technically up to date. Applying for Mother Dairy franchise is quite simple. All you need to do is navigate to the official website of Mother Dairy which is www.motherdairy.com. Check for the application procedure and apply as soon as possible. For any queries regarding the franchise you can write to the managers of the franchise at the address given below. You can also call or email the franchise. The contact details are given below. Taco Bell is another one of the popular food chain franchises. It is owned by Yum! Just like Pizza Hut and Kentucky Fried Chicken (KFC). It has been listed among the top 3 restaurant franchises in India. For all those who want to start a Taco Bell franchise you will find all the necessary information in this article. Read about the cost and investment required, application process as well as training and support provided by Taco Bell. Yum! is the name among the franchisees that erases all the doubts and second thoughts. It is the brand name with which everyone wants to get associated with. Taco Bell is also a part of Yum! therefore there is no scope of doubts. Taco Bell has more than 5500 units in US at present and provides a great menu comprising mostly Mexican platter and food. They have been known to serving 35 million customers every week. Taco Bell was initially started in Bangalore and gets an average of 2000 customers every day. The franchise is looking for expansion in India so there is a lot of scope for new businessmen to join the league. Taco Bell is a franchise that requires a huge amount of investment. This large sum of money is not within the budget of every businessman but this franchise is an extremely option for those who want to expand their Restaurant business. Just like the investments the profits are also huge. $1,100,000 to $1,700,000 is the investment required to start a Taco Bell franchise as per the requirements in US. Considering the Indian lifestyle and standards, the investment required to start a Taco Bell franchise will be around 3 crores. Liquid assets worth of $360,000 will also be required with $750,000 net worth. The franchisee will also have to pay a franchise fee of $45,000, applicable only once. Royalty fee of 5.5% on gross sales is also given on an annual basis. 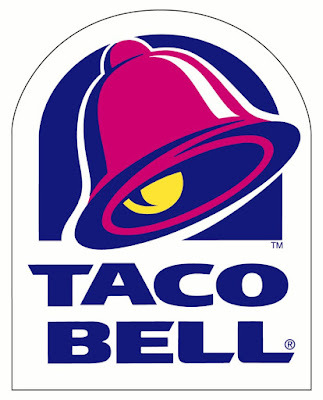 Taco Bell provides the franchisee with outstanding training and support programs. A basic restaurant management training program is provided to all franchisees for the franchisee as well as the restaurant manager. All franchisees including the managers must undergo this training program. Taco Bell requires that the franchisee and one manager successfully complete its training program. The program goes for a minimum of 7 weeks and can be longer depending of factors like location, number of restaurants or if the restaurant is multi-brand. Taco Bell's training program comprises of e-learning training and on-the-job and classroom training. Taco Bell also provides optional classroom training for which an additional fee is charged. The franchise provides all necessary support in managing the restaurant and all necessary advice is given to the manager to lead the business appropriately which may also involve visits by Taco Bell representatives. You can apply for Taco Bell franchise in India at the official website of Yum! Restaurants (www.yum.com). There you will have to accept the terms on the disclaimer. You will find the contact details from there which you can use to ask all the necessary queries. Once you have agreed to the terms you will receive an email which will have a link to the Taco Bell franchise application. Fill all the details that are asked in the application form and submit it. You will be contacted by the franchise once your application has been reviewed. Fifteen years have passed since the first opening of Pizza Hut franchise is pizza giant restaurant chain in India. This is one of the best food franchises that you can opt for. 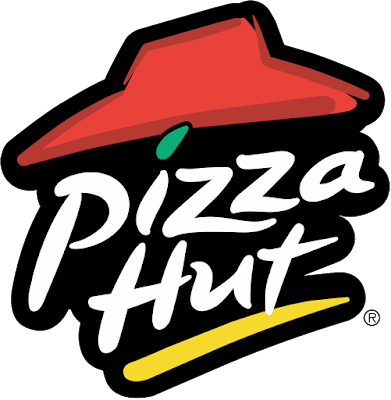 Pizza Hut was started in India in the late 1990s and has grown ever since showing great potential for business. It is owned by Yum! which also owns chain restaurants like Kentucky Fried Chicken (KFC) and Taco Bell. Get to know all about Pizza Hut from the investment requited to the places where you can start this franchise unit. Is Pizza Hut franchise in India is a good business initiative? Most of you must be in a dilemma about Pizza Hut because of the huge investments required to start this franchise. Well no worries there! The investment is something that can be tolerated considering the profit that this franchise makes. The business Yum! corporation has increased so drastically in the past few years in India that it had to start to start the Yum! Restaurants India in the year 2011 to manage the business from a closer ground. The brand has more than 170 Pizza Huts throughout India at present along with 220+ KFC franchises. Pizza Hut has earned a reputation among the Indian People because of its quality and services and was ranked as the most trusted food franchise in India by The Economic Times. As the popularity of pizza grows in India the chances of the franchise flourishing are even more. Since Pizza Hut is not yet and exhausted franchise there is a lot of scope for expansion in the suburbs. so don’t delay apply now and you can own the next franchise unit of Pizza Hut. Investment required to start a Pizza Hut restaurant varies from $350000 to $400000 in US. This amount will be around 2 crore rupees in Indian currency but keeping in mind the life style and cost of land the investment in India required will go down to 1.5 crores. The franchise fee is $25000 that will be around 14 lakh rupees in India considering the Indian standards. A royalty fee of 6.5% on the profit is also applied. The term of agreement is 20 years and there is presently no clause for renewing the agreement. Pizza Hut has great return on investments therefore the huge investment can be compromised for the sake of huge profits. Being the leading pizza restaurant in India, Pizza Hut does great business. Mr. Niren Chaudhary, MD, Indian Subcontinent, Yum! Restaurants (India) Pvt. Ltd. said that business has double and is still growing. He also mentioned that Pizza Hut will now expand its business to achieve a top-line of 1 billion USD. Web based learning system is also provided to the trainees as a part of technology which is optional. An Online Standards Library is also available. The learning system is provided for free for all the franchisees who have registered for the Pizza Hut Hiring Management System and Learning Management System Services and Support Agreement. Pizza Hut’s Training Department often organizes seminars and other training programs for trainees and franchisees which are optional and one may attend if they so wish. The training program is modified from time to time in order to maintain the effectiveness of the learning process. Since most of the metro cities already have several Pizza Hut units, the chance of another franchise working out well are quite less. Therefore you must target the suburbs. They have a lot of potential for new franchises. The people in suburbs are moving along with time and have adapted the cosmopolitan lifestyle. They take a keen interest in western food which is why restaurant chain franchises do well in suburbs. The important part is that the franchisee must adapt according to the food standards of the local people. For example, in areas where most of the people are vegetarians, the franchise must extend the vegetarian menu. Regardless of all this the primary thing is investment so apply ASAP. You can get all the franchise application information at the official website of Pizza Hut. You can also fill the franchise enquiry form at www.pizzahut.co.in/franchise_enquiry.php to get all the information that you need to know about the franchise.